CIS have been established 35 years, operating from four locations across the South Of England. CIS are a Technical Tooling & Services Supplier to the Precision Engineering Industry. Offering Application Engineering, CAD/CAM services, Prototyping and Proving in house. 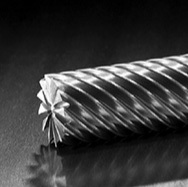 We pride ourselves on correct specification of Precision Tooling supported with method and application advice. Operating with a large and experienced sales team and delivery fleet. Working from three stock and distribution centres across South East of England, housing over two million pounds of tooling products. We have our own dedicated Product Proving Centre where in house CAD/CAM and CNC Application Engineering is executed on behalf of our customers. Our very successful trading position has been achieved by providing the following business qualities and services to our most important asset that is you, our customer. CIS stock only QUALITY branded and proven tooling. CIS hold their products IN STOCK. CIS only employ EXPERIENCED & KNOWLEDGEABLE staff. CIS operate an EXCELLENT & FREE DELIVERY service for the majority of customers,  delivering at least once a day. CIS making it EASIER to do business. All we ask at CIS is to be given the opportunity to prove ourselves. We have saved hundreds of companies thousands of pounds in productivity costs by correct specification of tooling, backed up every time by the ability to deliver when you the customer needs it, all at competitive prices.